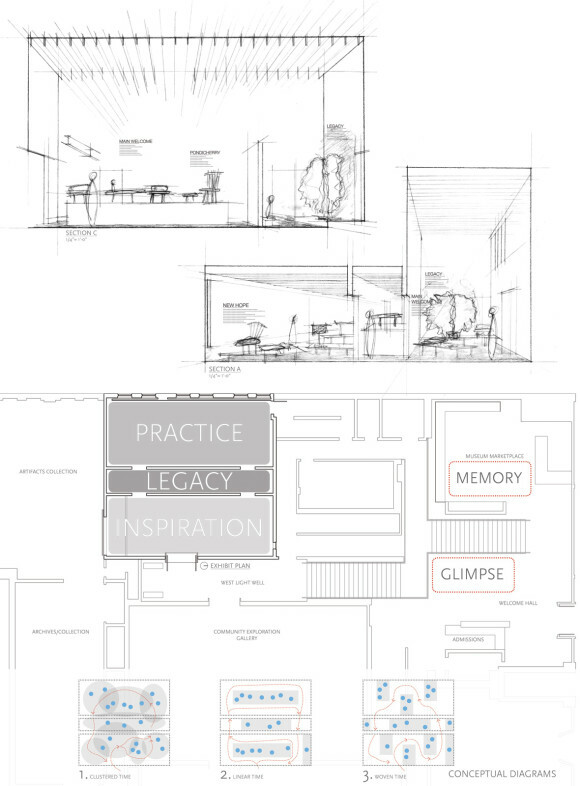 Exhibit design is architecture at a smaller scale. 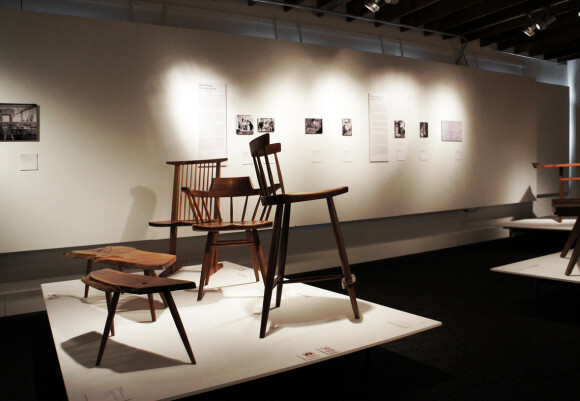 The exhibit design, George Nakashima: A Master’s Furniture and Philosophy, highlighted the life and legacy of furniture designer, George Nakashima, and the continued evolution of the studio by his daughter Mira. 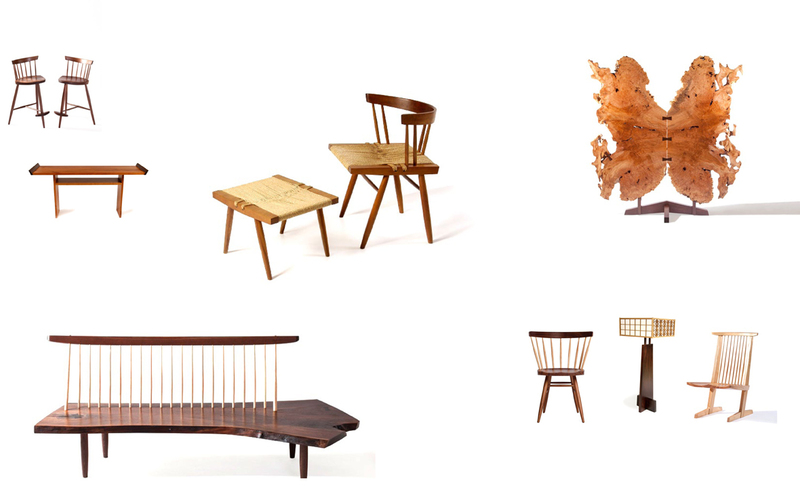 Displayed at the Wing Luke Museum, the exhibit presented George Nakashima’s designs parallel to the influences that shaped his approach to furniture making. 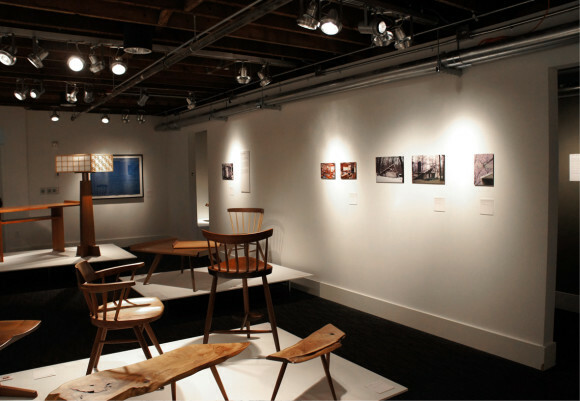 By shifting the display platforms on either side of the gallery, visitors were invited to prolong their experience. 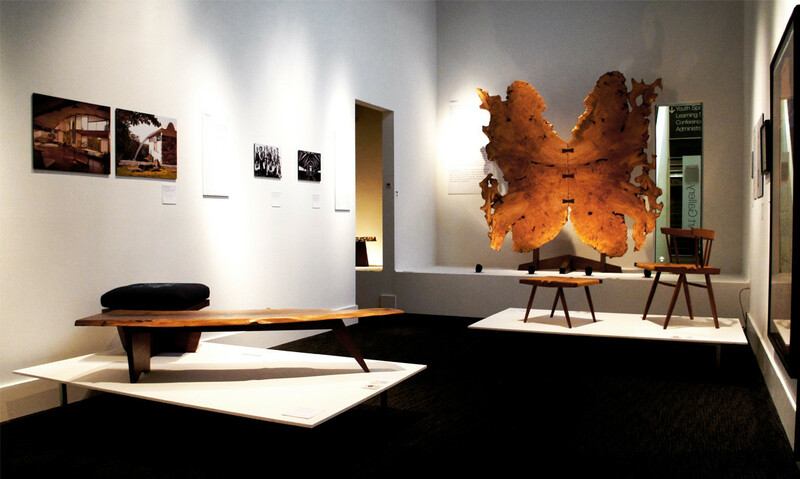 The “Tsuitate” Butterfly Gate was the anchor to a larger gallery, welcoming guests as they arrived. 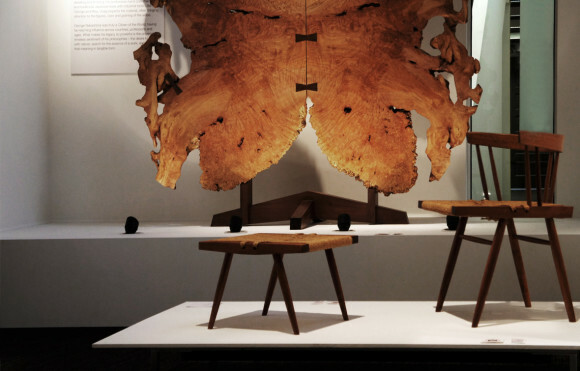 As visitors moved through the space, each subsequent object in the exhibit layout would get smaller and the lighting more subdued, placing a heightened focus on each piece. 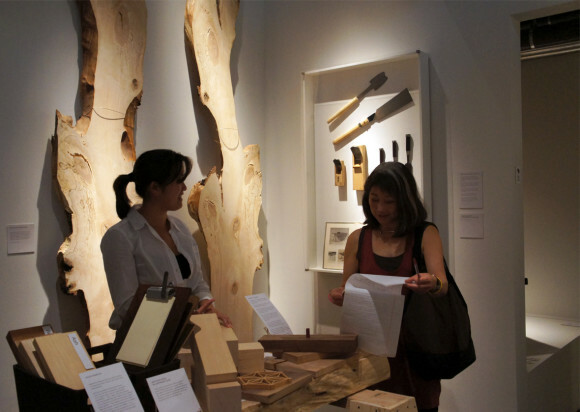 Returning to a light and open arrival space, woodworking tools and joinery were displayed as a hands-on element that was particularly fun for children. 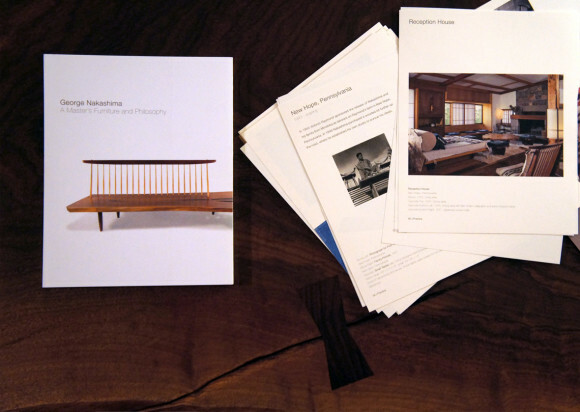 This experiential aspect and an exhibit book were designed to capture the experience of the exhibit and take it beyond the gallery.